After discovering her own passion for fitness, Selena's desire to help others on their fitness journey grew and she knew this was the path her career needed to take. She wanted to help others feel good about themselves in all stages of their fitness journey. Help inspire people to see they are capable of doing what they once thought maybe impossible. To help people see the small changes they're making and celebrate them. Coming from a corporate background, Selena knows all too well the negative affects sitting at a desk slouched over a computer can have on your physical and mental health. While searching for a form of exercise that could undo all this damage, Pilates came into her life and the healing began. 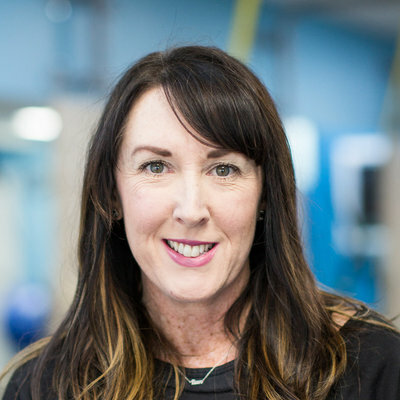 Selena found what she'd been searching for and immediately started taking the necessary steps to transition into teaching and now has the opportunity everyday to help others find their happy and joy that Pilates gives. Selena is also TRX Qualified, has a passion for running and thoroughly enjoys working 1-on-1 with clients. She has a good understanding of injuries and able to modify exercises to accommodate the clients needs. She loves seeing her clients grow and being their biggest cheerleader.